We photographed the scene pictured above using the S90’s RAW plus Large Fine JPEG mode, allowing us to directly compare images created from exactly the same data. Below are crops taken from the original JPEG file alongside the RAW version, processed in Canon’s Digital Photo Professional software. The default settings produced a softer result than the in-camera JPEG, so we’ve boosted the sharpness to 7 to see what detail can be brought-out. The boost in sharpening has certainly brought out a little extra detail on the converted RAW file, albeit with some minor sharpening artefacts as a result. Looking at the entire image, we’d say the converted RAW file certainly has the edge over the in-camera JPEG, and some minor adjustments in DPP could get the balance just right. RAW recording is one of the important features of the S90, but while it actually makes little difference with some compacts, there’s a visible benefit to using it here. Now let’s look at how the camera performs across its sensitivity range in our Canon PowerShot S90 High ISO Noise results. To compare real-life performance we shot this scene with the Canon PowerShot S90, PowerShot G11 and EOS 450D / XSi, within a few moments of each other using their best quality JPEG and base ISO settings. 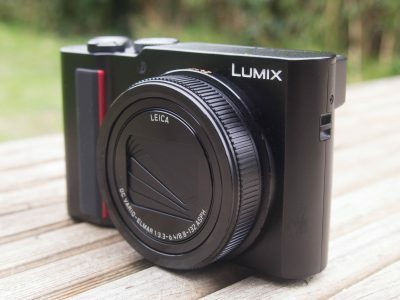 Unfortunately Panasonic was unable to supply a Lumix LX3 for direct comparison against the PowerShot S90 and G11, but you can see how it performed against the G9 and Canon 450D / XSi in our Panasonic LX3 Real-life resolution results. The image above was taken with the Canon PowerShot S90 in Program mode at 9mm f4 with a sensitivity of 80 ISO; the original JPEG measured 2.88MB. The crops are taken from the areas marked with the red squares and presented below at 100%. 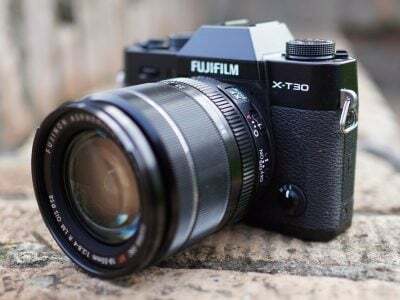 Each camera was using its default settings for noise reduction and image processing, but all contrast-enhancements were disabled to avoid artificially increasing the noise. The PowerShot S90 shares the same sensor and image processing as the G11, so it’s not surprising to find them exhibiting similar characteristics below, but their lenses are different and these have had an impact on the overall quality. The G11 enjoys a small but visible edge in overall sharpness across the image, along with more noticeable benefits in specific regions of the frame. Starting with the first row of crops taken from the upper left corner though, the S90 and G11 are looking fairly similar – and arguably the G11 is exhibiting fractionally worse coloured fringing, but it’s nothing to be overly concerned about here. In contrast though, the kit lens with the Canon EOS 450D / XSi is suffering from quite obvious red fringing in this area, and unlike most of Nikon DSLRs, it’s not being digitally corrected in-camera. Moving onto the second row of crops and at first glance the S90 and G11 look identical, but upon closer inspection the G11 has the edge in sharpness. It’s subtle in this particular cropped region, but when viewing the entire images at 1:1, the difference becomes more obvious. We’re not talking about night and day, but the G11’s fine details certainly look a little crisper. Along with being slightly sharper, the G11’s optics are also more consistent across the frame. In the third row of crops taken from the lower right area of the image, the S90 becomes noticeably soft at f4, whereas the G11 remains consistently well-defined. The EF-S 18-55mm IS kit lens for the EOS 450D / XSi also suffers in this region, leaving the G11 as the clear leader in this particular portion. We photographed this scene using each of the S90’s aperture settings, and while the sweet-spot for overall sharpness at this focal length was around f4-4.5, we noticed the blurriness on the third row of crops was greatly reduced at smaller apertures, and almost matched the G11 when closed to the minimum setting of f8. Unfortunately though, f8 on a compact like the S90 is a very small aperture and will result in optical diffraction, with softening over the entire frame. To be fair, the diffraction at f8 on the S90 is nowhere near as bad as models with even smaller sensors like the PowerShot SX20 IS or Panasonic FZ35 / FZ38, but the minimum apertures should still be used with caution. If you’d like to learn more about this effect, we’d recommend you photograph the same scene from a tripod at each of your camera or lens’s aperture settings in Aperture Priority mode and view them at 100% to discover the sweet-spot for sharpness. Finally, the fourth row of crops is a repeat of what we saw on the second row. At first glance the S90 and G11 again look identical, but upon closer inspection – not to mention considering the area around the crop – the G11 enjoys a slight edge in crispness. 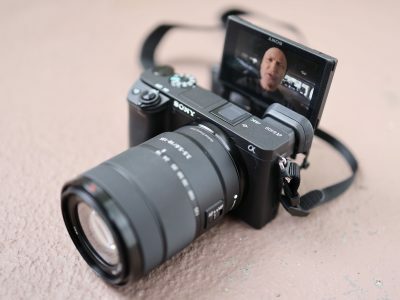 So the PowerShot S90 and G11 certainly share very similar image quality, particularly when it comes to the style and processing of the pictures, but the G11 has a small but visible edge in overall sharpness, along with a greater consistency across the frame. Once again it’s fairly subtle, but pixel-peepers will appreciate the difference. But that’s not to say it’s a bad result for the S90 in any respect – there may have been some softening in the lower right corner in this composition, but most would be otherwise pleased with the results here and they certainly compare favourably with other compacts. And remember while the G11’s lens is a little sharper, the S90’s enjoys an extra stop in brightness when both cameras are zoomed-out. Now scroll down to see whether shooting in RAW brings any benefits to the S90, or if you can’t wait any longer, check out how it performs across its sensitivity range in our Canon PowerShot S90 Noise results.